TIG welding can be done with or without the use of filler metal; in the first case, “TIG rods” are used. This process is frequently used as it enables welding sheet metal of lower thickness without creating a deformation from the excessive heat. 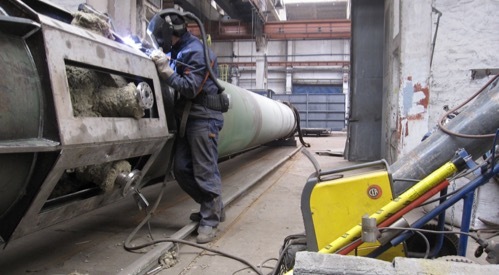 TIG welding can be used with spot or seam welding, which is why it is used when pipes need to be welded, as well as in sectors such as furniture manufacturing, marine and automotive. One of the enemies of TIG welding is a rush of air, which can strike the torch while working. The problem is not due to the fact that a gust of wind can lower the temperature, but the oxygen, which must not come into contact with the weld pool. The welding process, as previously stated, takes place in an inert atmosphere thanks to argon gas, which is heavier than air. This is to ensure that the weld pool is not attacked by oxidation, which could prevent the filler material advancing and depositing correctly, and give rise to an imperfect weld. The inert gas must be pure and free of moisture, so as to ensure the protection against oxygen necessary for creating a correct TIG weld. automatic: all operations are done by a robot. The heat required for melting, in TIG welding, is generated by the electric arc that forms between the torch’s electrode and the material where the joint needs to be made. 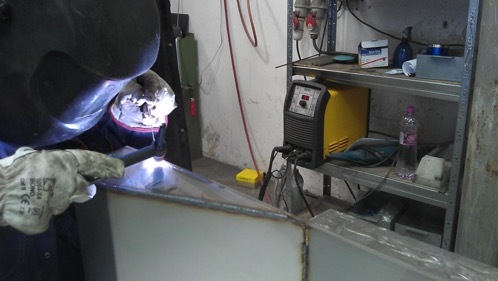 If filler material is not used, it’s the high temperature alone that enables making the joint, and so to proceed with a continuous weld, we need to pay a lot of attention to the distance between the electrode and the surface to weld. The distance, just a few millimetres, must be kept constant, without ever letting the electrode touch the piece, or it will stick to it, creating an interruption at that point. When using sticks, we must make sure to proceed consistently, keeping the filler material in the arc so it melts evenly and is protected by the gas. A continuous weld with a homogeneous deposit of material will be very strong and aesthetically better, whereas if the bead is uneven, the result will certainly not be very commendable, be it from a technical or aesthetic viewpoint. This type enables achieving strong welds, especially with thinner components, while it’s not very suitable with thicker components. 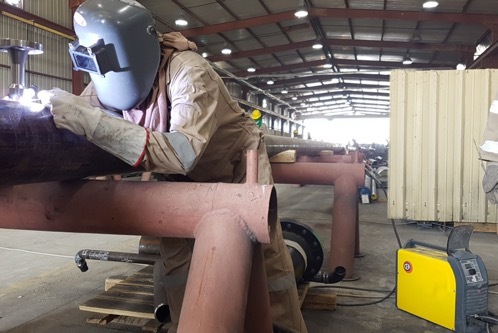 quality of the weld: the elimination of flux and arc without sprays ensure tidy, accurate welds without the inclusion of slag and without reworking.